S-Net communication mode and TCP/IP communication mode conversion device. It serves as an intermediary device for intelligent centralized control management systems and other adjustment control devices. The device can be set up and configured through PC control software. 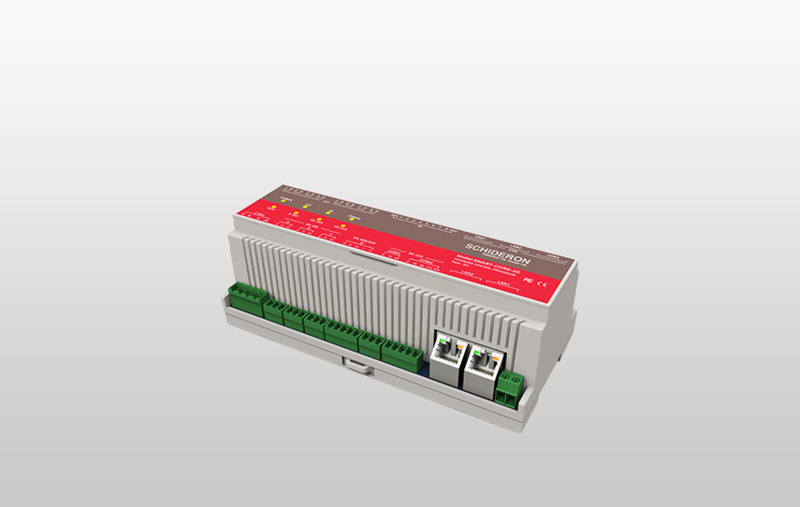 The SMART-CORE-1D is a DIN-rail mounted intelligent central control system developed by SCHIDERON that can be applied to any modern smart home and business intelligence control central control system. The entire system can be customized and integrated with different brands, different types, and different models of products to make the operation more user-friendly, more environmentally friendly, and more efficient! SMART-CORE-1D is used in smart meeting rooms, business intelligence lighting systems, smart home systems and room management systems. Through the SMART-CORE-1D, all modules of the entire system can be connected to Internet communications, and unified management is performed in the cloud based on the Internet. Through the UControl mobile app of mobile terminals (devices supporting Android and IOS operating systems) for remote docking system control. The SMART-CORE-1D can also be custom-programmable through S-Net to upload data from business intelligence lighting systems, smart home systems and room management systems to the corresponding smart centralized management and management systems for device state management and statistical data analysis. The entire data transmission and equipment control comply with the latest industrial industry standards. Both the scene management and scene timing settings of the system can be operated remotely through the UControl Mobile APP, which is simple and convenient and meets the requirements of the current physical networking system.